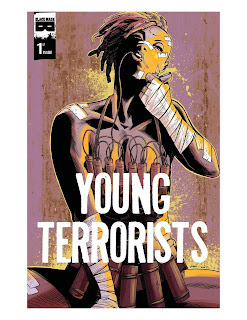 The Fellowship was fortunate enough to obtain a copy of YOUNG TERRORISTS #1 from Black Mask Studios. Matt Pizzolo writes, Amancay Nahuelpan draws and Jean-Paul Csuka colors. Sera Solomon has a very wealthy (if not very nice) father, and she’s bright enough to be considered by Yale. But her privileged life comes crashing down when her father is killed and she is framed for it. Then it gets rough for her when she’s labeled a terrorist, so she does her time in a military camp. She eventually escapes, and soon crosses paths with a kid called Cesar, who’s at the end of his rope too. This issue does some really fantastic character building – good enough that I didn’t even notice that it was eighty pages (seriously). Sera and Cesar have some seriously bad stuff in their pasts, but together they have a chance to build something (no spoilers). And the fight scenes are really impressive, too, with art that’s out-of-this-world expressive. There’s a ton of backstory in this issue, and there’s an equal amount of foreshadowing, and it’s all awesome stuff. You’re going to want to get this book. 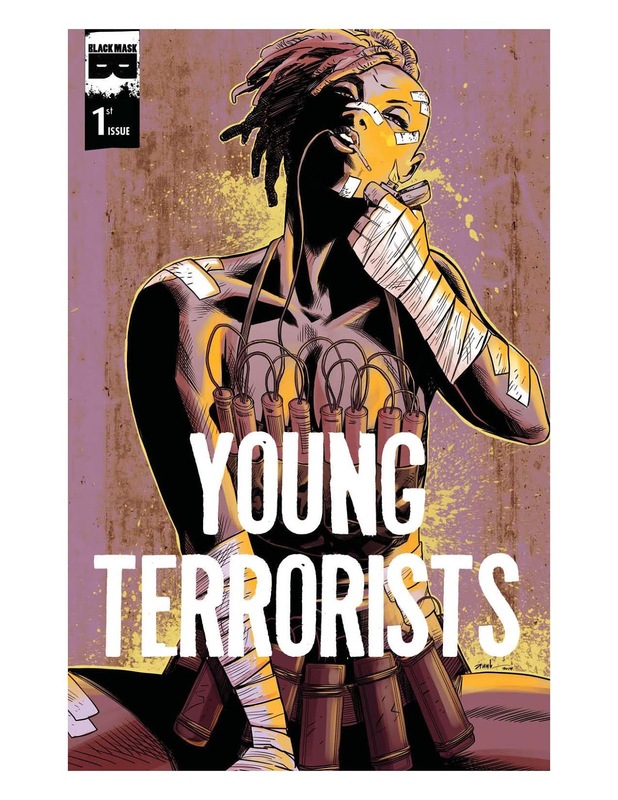 YOUNG TERRORISTS #1 is available now at your FLCS or at blackmaskstudios.com.